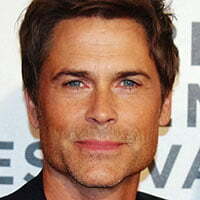 UK commercial broadcaster ITV has ordered a crime drama exec produced by and starring Parks & Recreation actor Rob Lowe. Wild Bill sees Lowe as a high-flying US cop who moves to the UK after being appointed chief constable of the East Lincolnshire Police Force. The series is being produced by prodcos 42, ITV Studios-owned Shiver and Anonymous Content. It was created by David Griffiths (Collateral Damage), Kyle Killen (Halo), and Dudi Appleton and Jim Keeble (both Silent Witness). Keeble and Appleton serve as lead writers and showrunners. Lowe will exec produce alongside Eleanor Moran and Rory Aitken for 42 plus Shiver MD Tim Carter. Appleton, Keeble, Griffiths, Killen and Scott Pennington will also exec produce, as will Anonymous Content’s Keith Redmon. The series was commissioned for ITV by head of drama Polly Hill, who described it as “fresh take” on the police procedural genre. ITV Studios Global Entertainment will handle international distribution of the show.